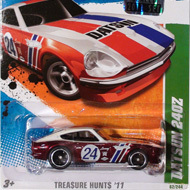 13/15 from the 2011 Super Treasure Hunt series. 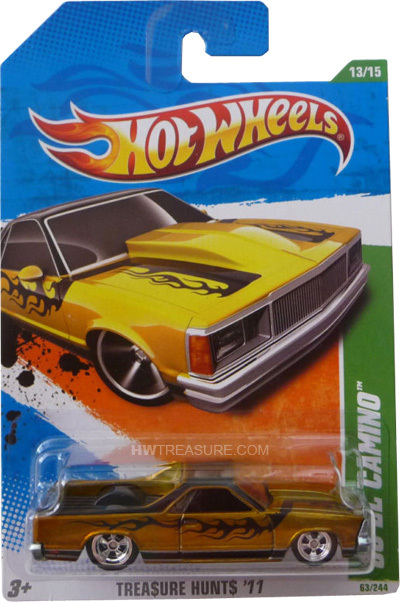 The El Camino has gold Spectraflame paint, a black roof and bed, black and silver stripes, and black flames on the hood and sides. 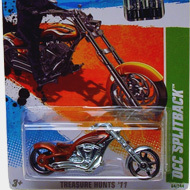 It has clear windows, a black interior, chrome 5-spoke Real Rider wheels, and an unpainted metal Malaysia base.